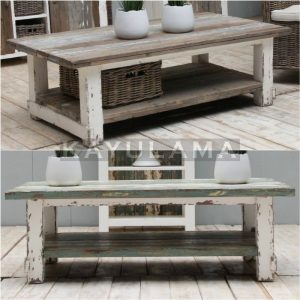 Aimann Collection is made from reclaimed pine wood and handcrafted by skillful carpenters. 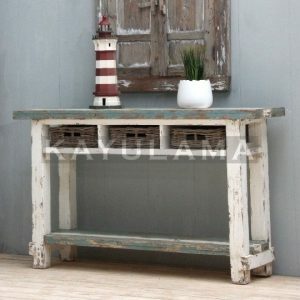 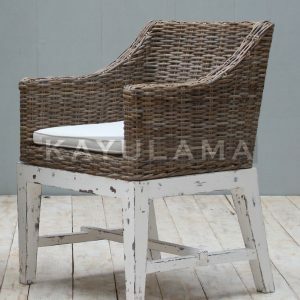 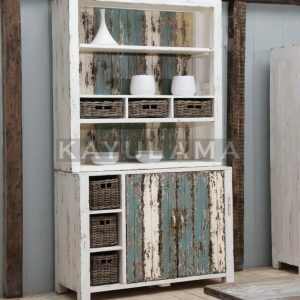 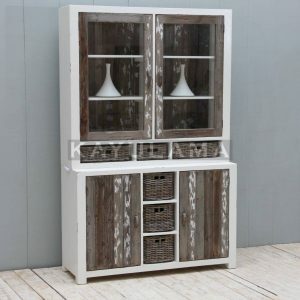 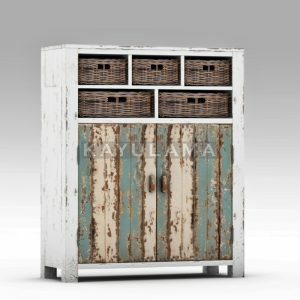 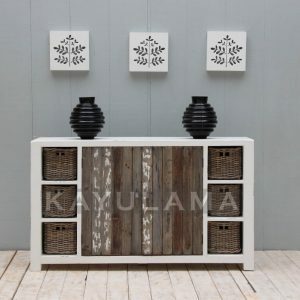 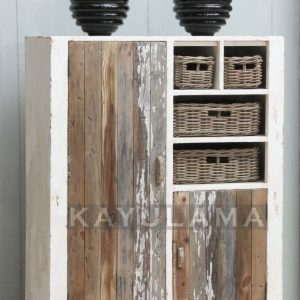 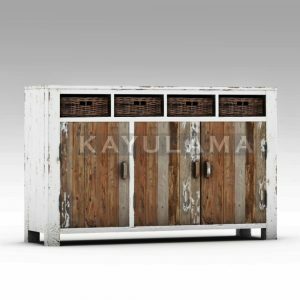 The furniture is hand-finished in an old white painted combined with gray vintage look , additional pretty koboo baskets instead of wooden drawers complete the design perfectly. 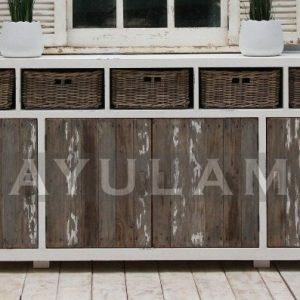 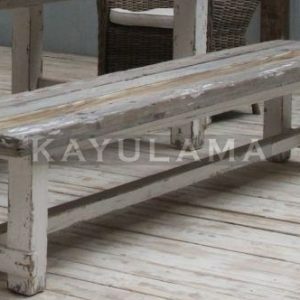 Great combination of Modern straight shape with natural rustic finished made it look stylish and yet romantic , great choice for you home interior. 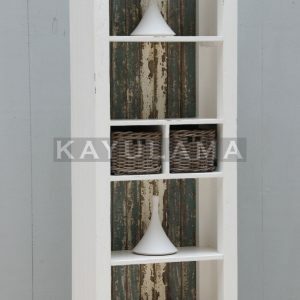 One of the success story of our new design.